The Virtual Realty Group of South Carolina is a “state of the art” full service real estate brokerage operating in many states across the country, including Hawaii. We offer better support, benefits, features and 100% commission plans than most brokerages. If you are independently minded, can work on your own or from home, do not need to be told what to do, are not into the office meetings or office cheerleading, then we are the smartest choice for you. We are a group of like-minded, tech-savvy (and a few tech timid), internet-driven real estate agents, brokers and attorneys all looking to do business a different way. Big offices, lop-sided commission splits and very little freedom are the same reasons we have all come together to form The Virtual Realty Group. With years of experience from several big name and smaller name brokerages, we have come up with a new way to do business. The best part of this is, we are now a multi-state, paperless, eco-friendly, mobile, internet-driven and agent-driven company. We are also one of the very few brokerages offering a training program for new agents fresh out of real estate school. We have designed an Agent Virtual Backoffice system which includes every imaginable tool an agent could need including an in-house marketing department. From property brochures to farming cards to our paperless online transaction coordinator, our Agent Virtual Backoffice has everything at your fingertips to conduct your daily business from anywhere in the world. Need to order business cards or yard signs, got it. Need property brochures, farming or business cards, got it. Need listing or buyer presentation material, go it. Need a copy of your E&O insurance, got it. Need training videos, got it. We have taken everything out of the old “brick and mortar” office and put it in our Agent Virtual Backoffice and provided it all FREE to every one of our agents. Our first Broker in Charge for South Carolina is Andre’ Allen. Andre’ graduated from Dillard University with a Bachelor of Arts degree in Business Administration and a minor in Spanish. 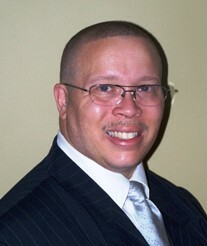 He worked in Human Resources for over 13 years before deciding to become a Realtor in 2004. Andre’ comes from a long line of real estate professionals. He has more than 22 years of real estate experience. He has been a licensed Realtor for the last 10 years in North and South Carolina and has lived in the area for the last 20 years. Andre’ is an Accredited Buyers Representative (ABR), is e-Certified, a Short Sale and Foreclosure Resource (SFR), Property Manager and best of all, our Broker In Charge. Andre’ and his wife were blessed with twin boys. He is a volunteer with his boys local Boy Scouts and a Board member of his community’s homeowners association. His wife is from the Philippines. He is very active in the Filipino culture and was once a vice president for its local community organization. Andre’ has a strong work ethic and is eager to share his talents. Come join The Future of Real Estate Today and take your career to the next level. Work smarter, not harder. Contact us to learn more.